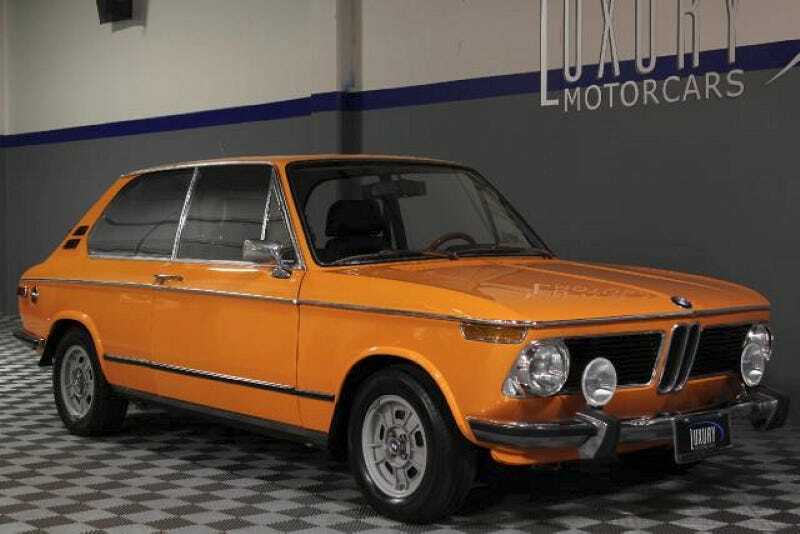 For $29,995, Could You Hatch A Plan For This 1973 BMW 2000 Tii? BMW hasn't offered a 3-door here in the States in some time, and in fact today's Nice Price or Crack Pipe Touring is one that never officially was. You could grab this lightly modded one, that is, as long as its price doesn't make you hatchback off. Have you ever heard Conquistador by Procol Harum? That song's lyrics lament a warrior's faded glories and in similar fashion, yesterday's 1984 Chrysler Conquest proved tested by time, going down in a narrow 54% Crack Pipe loss. Many of you felt that the earlier, flat-sided cars lacked the presence of the wide bodies, while many just thought the car was fugly. Damn kids. Hey! Are you ready to go to school? Okay, well here's your Neue Klasse. BMW first introduced the Neue Klasse all the way back in 1962. I guess that kind of makes them old-school neue klasse. The cars were the predecessors to the beloved 3-Series series, and were made available in 2 and 4 door sedans, occasional drop-tops, and, as represented by this orange over black 1973 2000 Tii, a 3-door hatch. These particular models were not officially imported by BMW, but a number were brought to the U.S. by savvy distributors or private individuals. From most angles, the Touring looks like your run of the very-desirable mill 1800 or 2002. From the boo-tay however, it's a whole 'nother game. The Touring shaves a foot off the rear overhang compared to the more common sedan, and adds a big hatch to swallow things. The back side glass is also extended, but still keeps the Hofmeister kink kinking things up. This one is offered by a Sacramento CA dealer that we've seen before, and which always seems to maintain an inventory of lust-worthy rides. This breakfast juice-hued Bimmer is no exception. It looks to be eat-off-it clean, and has been imbued with a couple of mods that, while they may offend the purist, will likely mean a far more enjoyable ride. The rest of the car seems pretty era-appropriate, right down to the push-button radio and sweet vintage Recaros up front. There's a claimed 117K on the clock, but since the car has obviously been gone-over at some time, do those miles really mean anything? In fact, the only glaring issue I see here is that the floor mats really should be of the sisal variety. The Neue Klasse cars of this era, especially round lamp Tii editions can go for crazy money these days. Add to that the rarity and uniqueness of this being a Touring model and you might expect to pay… well, the dealer is asking $29,995. That's a lot of cash to go on tour. 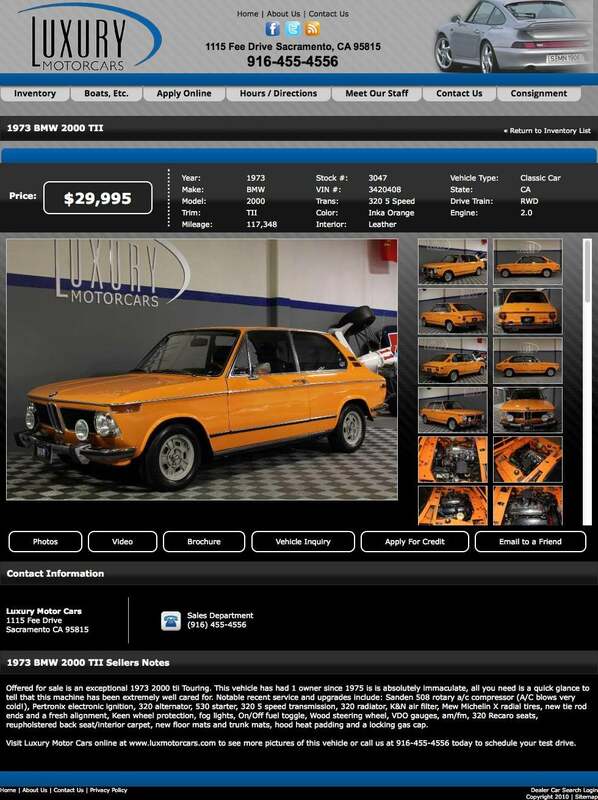 What's your take on this clean 2000 Tii Touring for $29,995? Is that a price that should have buyers banging down its 3 doors? Or, is that just too much for this hatch to catch? Luxury Motorcars, or go here if the ad disappears. H/T to TjF for the hookup!